‘Limerick 2030 an Economic and Spatial Plan for Limerick’, launched in 2013, is a once in a generation plan developed to guide the economic, social and physical renaissance of Limerick City Centre and the wider County/Mid-West Region. The plan seeks to deliver a new vision for Limerick, "Limerick will become a major economic force in the Irish and European economy, a leading centre for commercial investment." The 20-year action plan had a top-line target of €1 billion in enterprise and investment infrastructure and 12,000 jobs. Five years in, both of these targets have been surpassed. Limerick was recently listed as one of the top 10 European cities to invest in by Site Selection. Dr Frank Crowley's primary research interests are in the area of economic geography. Currently, his research work includes examining the role of the creative sector and the creative economy in Ireland; the role of industrial structures and spatial economic resilience in Ireland; And, the links between talent, tolerance, diversity, well-being and entrepreneurship in European Countries. 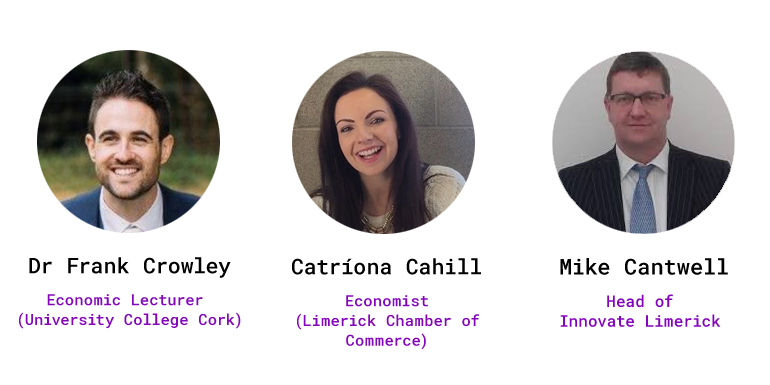 Catríona Cahill is an economist with the Limerick Chamber of Commerce. She is a graduate of the University of Limerick, attaining a PhD in economics in 2017. Her research interests include Public Economics, Transport Economics, Commercialisation and Productivity Analysis. Mike Cantwell is the Head of Innovate Limerick. Innovate Limerick is a special purpose company established by Limerick City and County Council as part of the 2030 plan to establish a vibrant innovation and business development ecosystem in Limerick City and County. Previous to this he worked as part of the Limerick County Enterprise office. Download the Limerick 2030 Plan here. It's well worth reading. 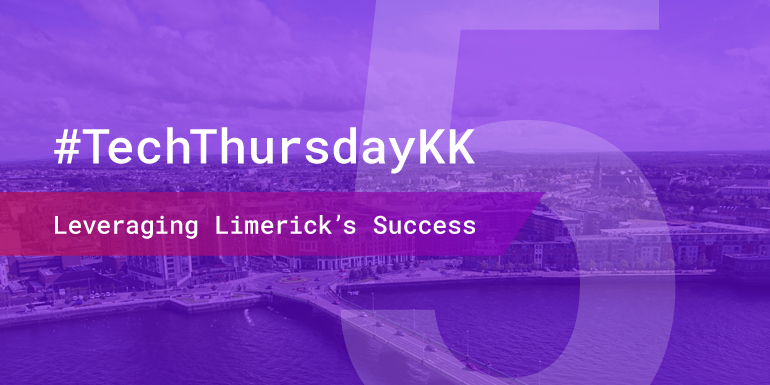 So join us on the 8th November at 12:30pm for insights and lively discussion as we explore the learnings Kilkenny can leverage from Limerick’s leadership.